Start off your visit on the 29th (Fri): take a stroll through Fisherman's Wharf and then head off the coast to Alcatraz Island. On the 30th (Sat), you'll have a packed day of sightseeing: take some stellar pictures from Twin Peaks, take in the views from Golden Gate Bridge, then take a stroll through Chinatown, and finally take a stroll through Union Square. To see ratings and more tourist information, read our San Francisco trip itinerary planner . Dallas to San Francisco is an approximately 5.5-hour flight. You can also do a combination of flight and train; or drive. Due to the time zone difference, you'll gain 2 hours traveling from Dallas to San Francisco. Traveling from Dallas in March, expect nights in San Francisco to be about the same, around 50°F, while days are a bit cooler, around 65°F. Finish your sightseeing early on the 30th (Sat) to allow enough time to travel to Las Vegas. On the 31st (Sun), admire the majestic nature at Red Rock Canyon National Conservation Area, try your luck at Bellagio Hotel and Casino, and then admire the local landmark of Bellagio Fountains. To see ratings, where to stay, photos, and tourist information, use the Las Vegas travel route planning tool . You can fly from San Francisco to Las Vegas in 4 hours. Another option is to drive. Expect a bit warmer weather when traveling from San Francisco in March: highs in Las Vegas hover around 74°F, while lows dip to 52°F. 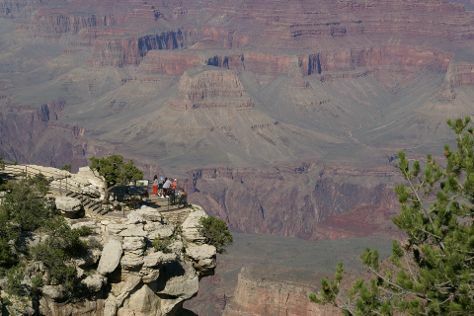 Finish your sightseeing early on the 31st (Sun) to allow enough time to travel to Grand Canyon National Park. 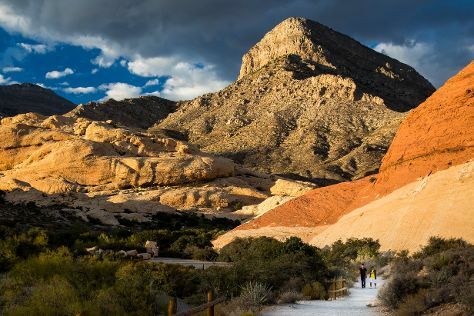 Kick off your visit on the 1st (Mon): examine the collection at Kolb Studio and then trek along Rim Trail. Here are some ideas for day two: hike along Tonto Trail, then take in breathtaking views at Moran Point, and then stroll through South Kaibab Trail. For where to stay, ratings, reviews, and more tourist information, you can read our Grand Canyon National Park sightseeing planner . Getting from Las Vegas to Grand Canyon National Park by combination of car and flight takes about 4.5 hours. Other options: drive; or take a shuttle. You'll lose 1 hour traveling from Las Vegas to Grand Canyon National Park due to the time zone difference. Expect little chillier weather when traveling from Las Vegas in March: highs in Grand Canyon National Park hover around 57°F, while lows dip to 23°F. On the 3rd (Wed), wrap the sightseeing up by early afternoon so you can travel back home.